OK-SAFE will be interviewing Vince Wade, award-winning journalist, on their show America in the Balance on Sunday, 12/4/11. 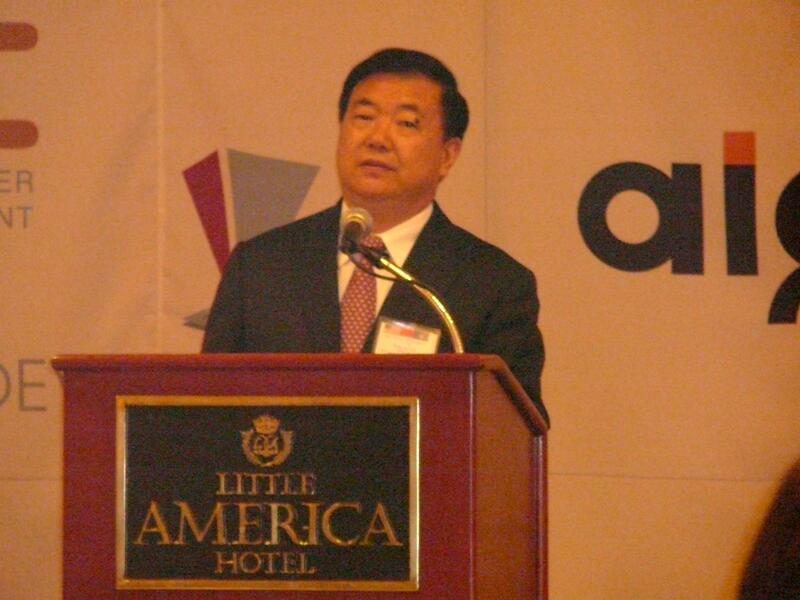 Subject will be increased Chinese foreign direct investment in the U.S., including investment by Huawei, who has interest in the broadband service in the state of Michigan. Broadband connection is a key component of health care reform, to enable “access to and use of” the new health care reform technologies- i.e. telemedicine, etc. This America in the Balance show will be podcast by Sunday evening 12/4/11, on Truth in Focus internet radio. It’s nice to have friends in high places who send you announcements every now and then. There is something outrageous going on in every corner of this state, making it a challenge to keep up with activities, or to even decide which one to focus on. 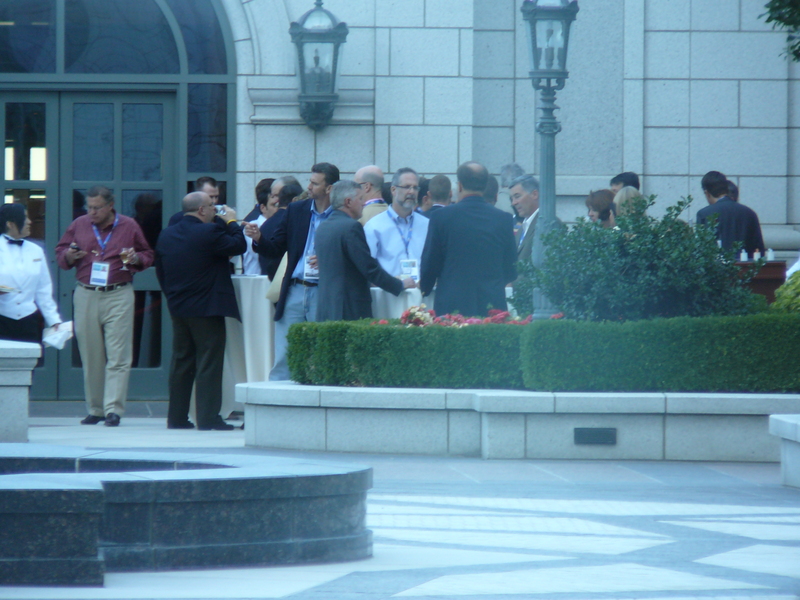 Networking amongst the grassroots is helpful in keeping up with various events and issues of concern, especially those events and issues that are advancing the sovereignty-killing tenets of globalization (the “new economy”), the rising technocracy, sustainable development, and foreign direct investment by the Chinese. For a mere $300 one can attend (along with the political insiders) a single conference advancing all of these killer policies at one time – in Norman, OK. 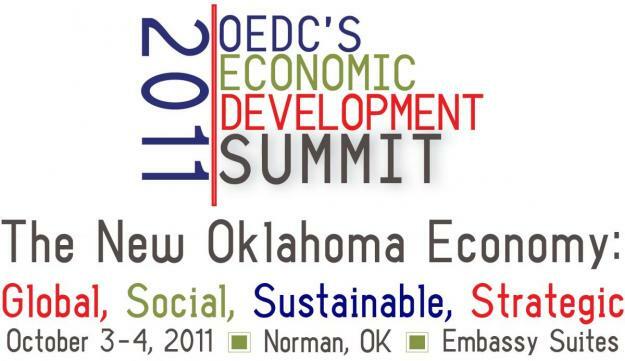 The OEDC (Oklahoma Economic Development Council) is sponsoring the 2011 OEDC’ Economic Development Summit – The New Oklahoma Economy: Global, Social, Sustainable, Strategic. October 3-4, 2011, Norman, OK at the Embassy Suites. The entire agenda is below. Governor Mary Fallin (referred to as the state’s “CEO”), is a keynote speaker, as well as Lt. Gov. Todd Lamb. 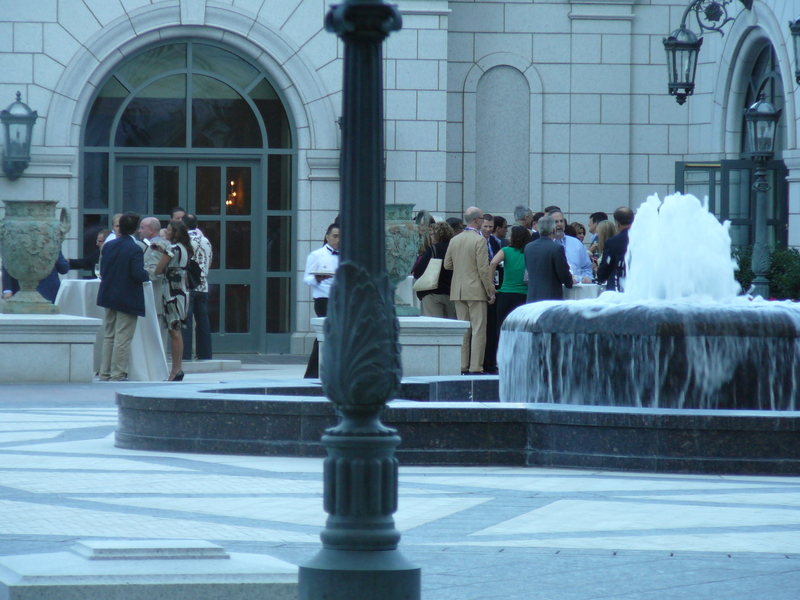 Fallin’s topic on October 3, 2011 is “selling” Oklahoma in this new economy. Selling it to whom? The Chinese? Folks may want to contact our “CEO” and ask her this very question. And what are Todd Lamb’s intentions? targeted industry sectors in the 21st century economy. development as well as how to position and communicate to compete. What does your state and region need to be doing? With technology and innovation driving systemic changes in our economy, including job creation and investments for entrepreneurs as well as the green economy. Mr. Patel and Mr. Finkle will discuss what this means to economic development and what steps we need to take capture the investments and jobs in this environment of sustainability. How do you get to where you need to go? What competitive advantage have you created in your state/region that will allow companies to succeed? With limited resources, making tough decisions about investments in ED is critical. Mr. Main will discuss why being strategic in today’s new economy is critical to long-term success. Mr. Finkle will give an overview of the state of economic development and will discuss the issues he believes are critical to continue to growing jobs and capital investment in this new economy. Mrs. Taylor, President of What if Creative and Executive Director of the Greater Fort Smith Regional Alliance will discuss what you need to create a marketing message, how to strategically target companies and how to develop and branding message that makes an impact in today’s new economy. 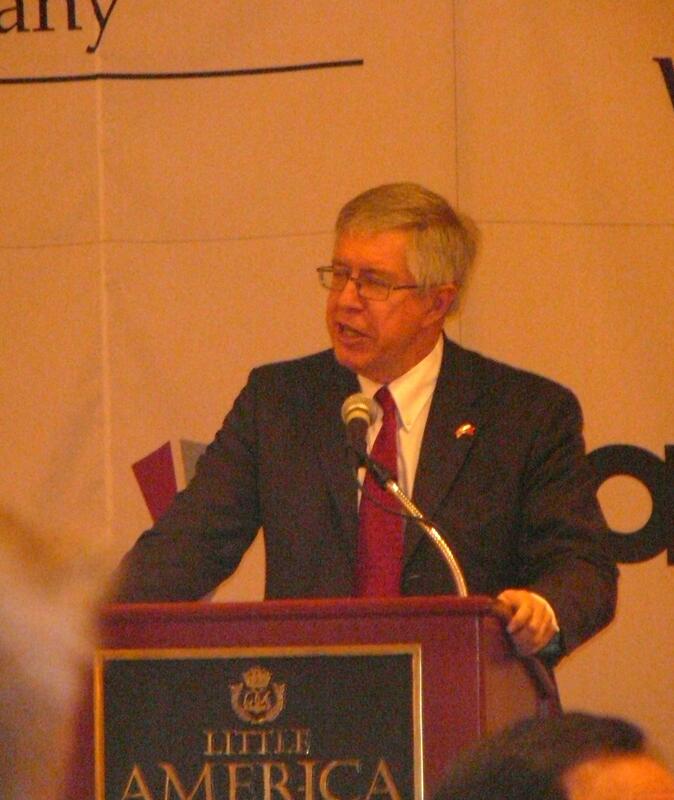 Mr. Boyette, former head of AEDC and President/CEO of Boyette Strategic Advisors will discuss how to target and approach corporate decision makers and investment impact in this new economy. He will also explain how states/regions should be strategic in their approaches. He will also provide his assessment of Oklahoma’s effort and will reveal his top 10 list for Oklahoma. Hear from two organizations that have figured it out. Collaboration and cooperation, along with articulated strategies, have allowed these two dynamic groups to flourish and have a significant impact on Oklahoma’s economy. Are you thinking strategically within your region? If not, this panel will have the ideas on what’s worked for them. Rural or urban, large or small, capital intensive or labor intensive, different industry sectors- every region and state has advantages. These companies and their leaders found Oklahoma offered them what they needed to invest here. What do we do right, what needs to be improved? This panel will offer invaluable insight into the minds of business decision makers in our state. regional partnerships and rural/urban communities? How do we leverage our assets and create an environment that keeps us competitive in this global, social, sustainable and strategic economy? Council (SEDC). Ever wonder what consultants do? How they make their decisions and why some states/regions get selected for RFP’s and others don’t? Mr. Stinson, Executive Director for SEDC, will give you his insight on what they do and why they do it. 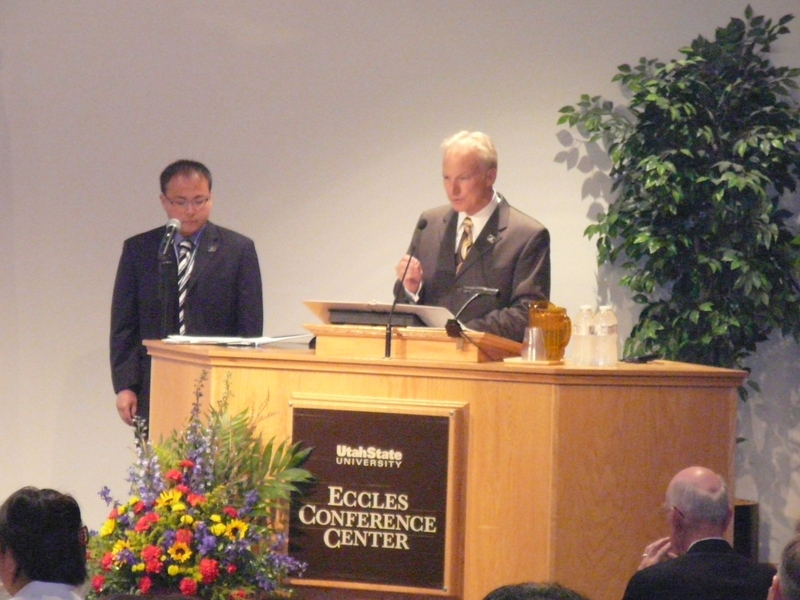 “Ladies and gentlemen, through this historic conference, new frontiers and new relationships will be forged in renewable energy, green technologies, information technologies, bio- and life- sciences, advanced materials, high end manufacturing and mining technologies.” Mark McLellan, Vice President of Research, Utah State University, to Chinese audience at Eccles Conference Center, USU, as part of the U.S.-China 2011 Conference, 7/15/11. “What we must recognize is that with the end of the Cold War there are no boundaries in the world anymore, and we must be open to cooperation and commerce and opportunity with everybody else in the world in all three of these areas….So what I am hoping for in the future is a partnership that is not just mutually beneficial between our two countries, but economic growth and the creation of wealth that can spread to the rest of the world with the joint leadership between Chinese and American entrepreneurs that move around the globe in ways that would not have been possible during the days of the Cold War.” Former U.S. 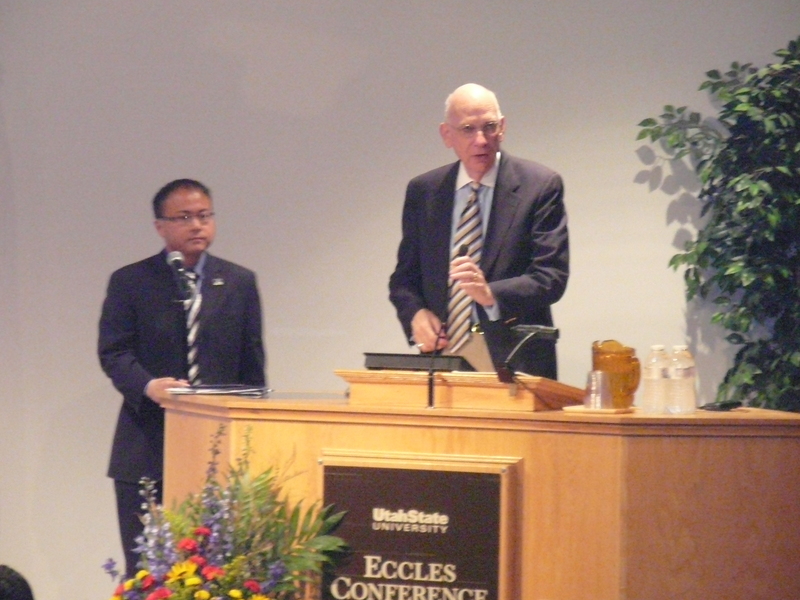 Senator Bob Bennett to Chinese audience at Eccles Conference Center, USU, as part of the U.S.-China 2011 Conference, 7/15/11. 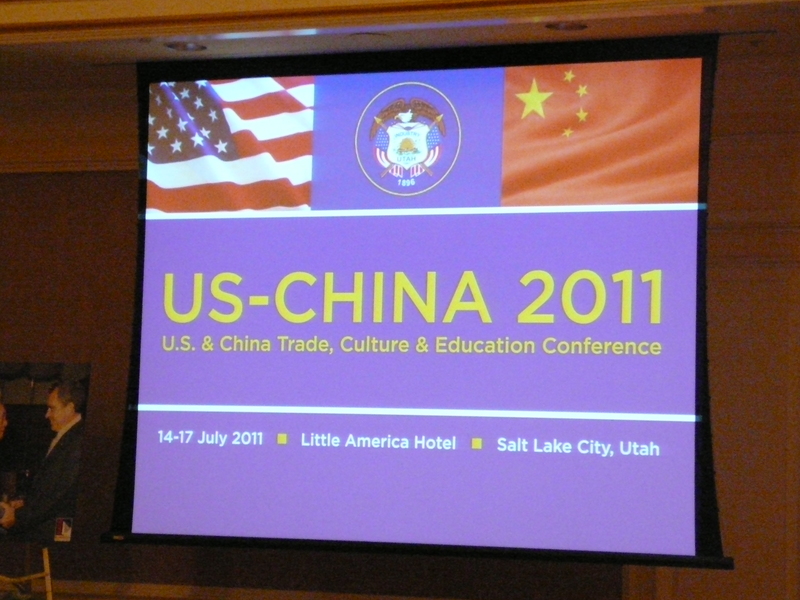 This is the second in a series of three transcripts of select sessions at the recent U.S.-China 2011 Trade, Culture & Education Conference held in Salt Lake City, Utah at the Little America Hotel, July 14-17, 2011. 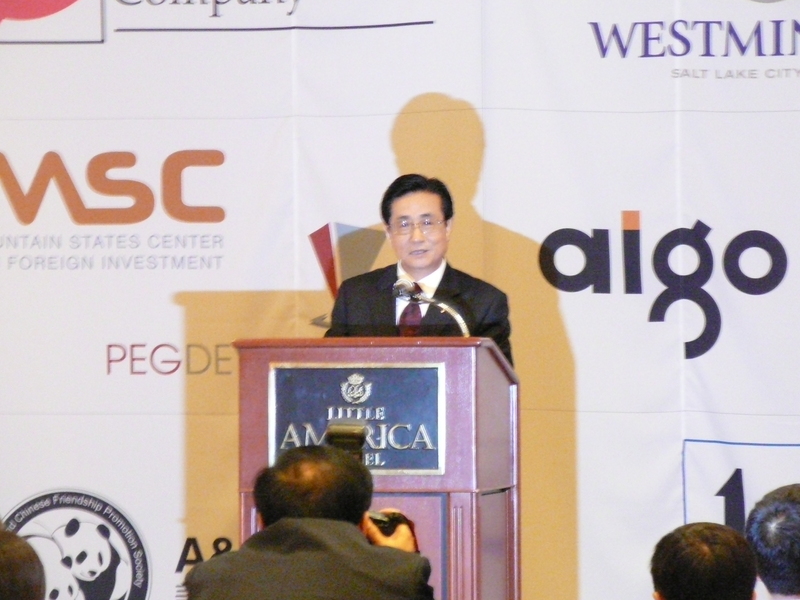 This conference was held in conjunction with the National Governors Association/U.S.-China Governors Forum. 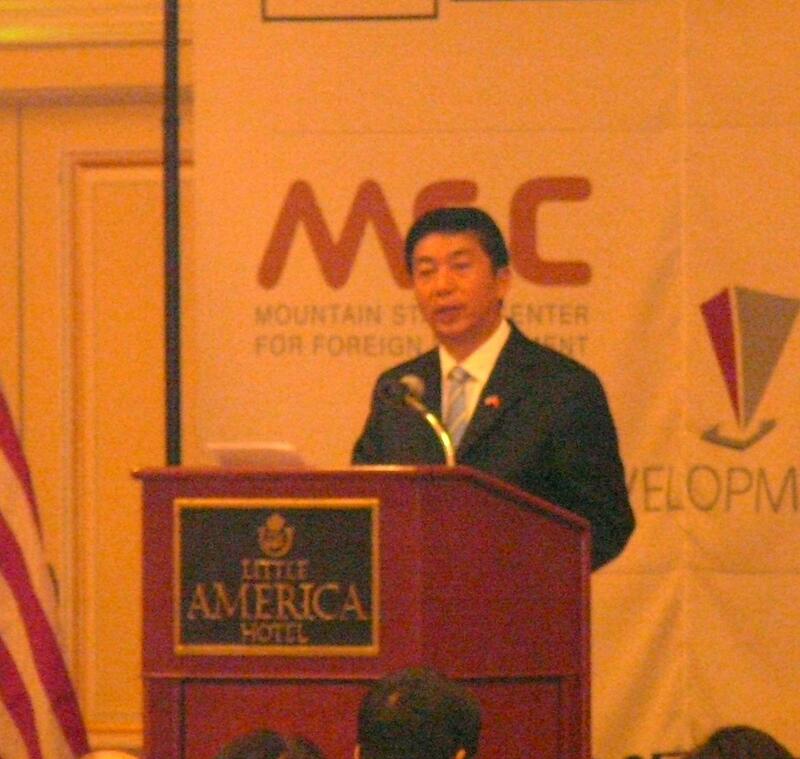 The overwhelming impression one came away with after attending this conference was that Utah, like many other states, is actively and enthusiastically pursuing economic, educational and cultural partnerships/integration with the Communist Chinese. 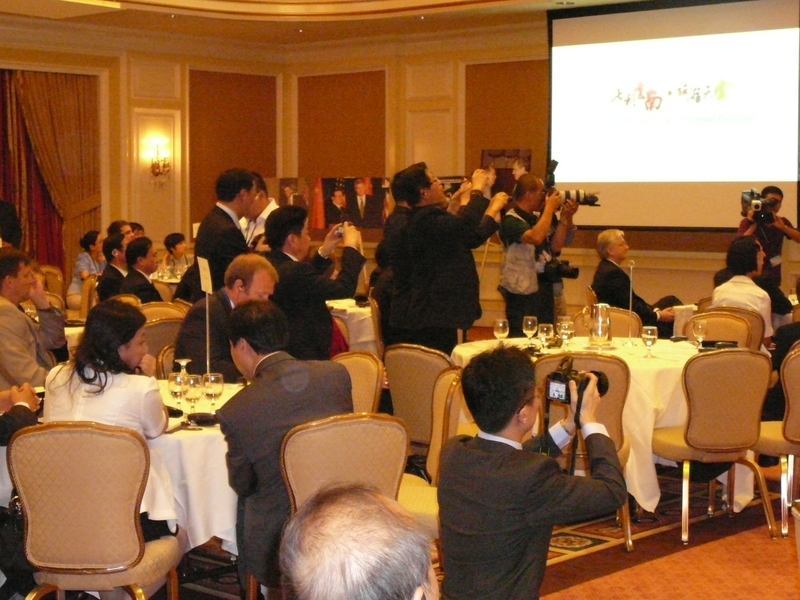 The fact that the Chinese political leaders honored were all long-time members of the Communist Party of China didn’t faze the conference organizers, business (Mormon) leaders, state government agencies, or universities one bit. 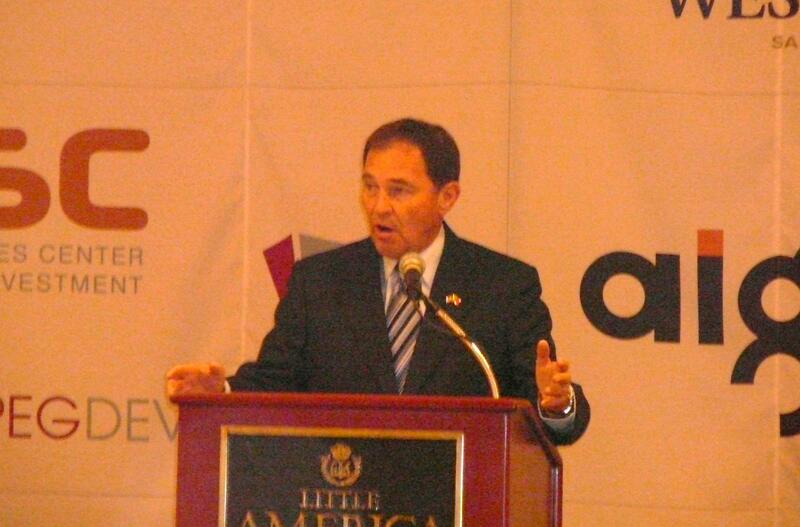 Too bad the state of Utah (and the U.S. Governors), and the event organizers couldn’t demonstrate this much interest and enthusiasm about developing American owned businesses that hire Americans in America. 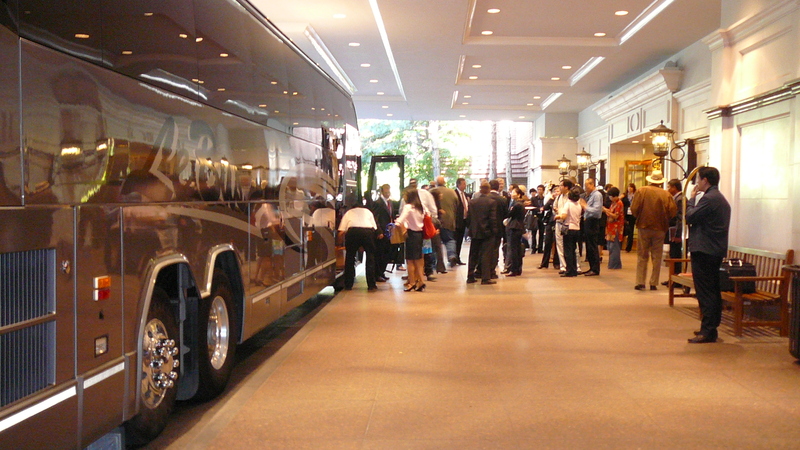 Attendees of the U.S.-China 2011 Trade, Culture & Education Conference held at The Little America Hotel in Salt Lake City, Ytah, board tour buses headed for Utah State University day trip, 7/15/11. 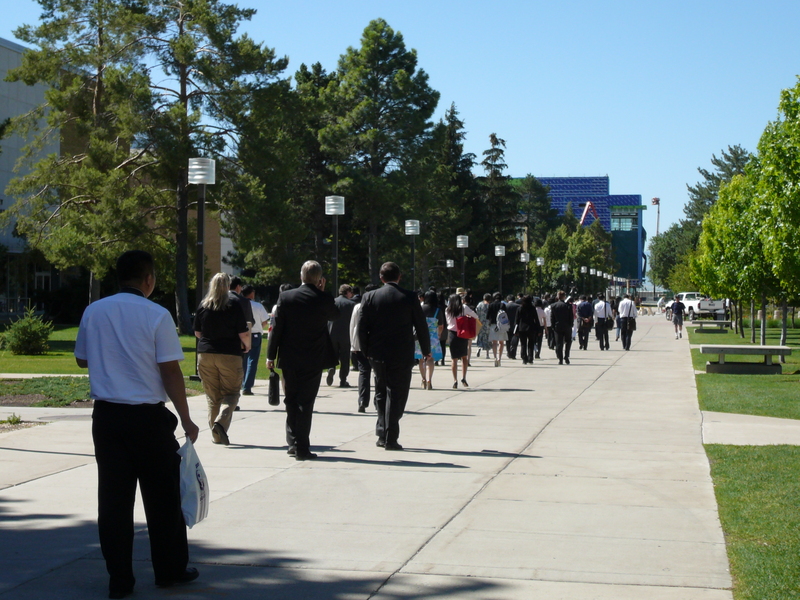 U.S.-China 2011 Trade, Culture & Education conference attendees walk to meeting on the campus of Utah State University, 7/15/11. Banner hanging off top of the Eccles Conference Center building on the USU campus 7/15/11. Speaker: Mark McLellan, Vice President for Research, USU. Summary of first few statements: USU has 38 visiting scholars. 700 students enrolled in program. Strong research ties with colleagues in China. McLellan mentioned three USU instructors involved in joint USU/China University projects and long-term relationships. 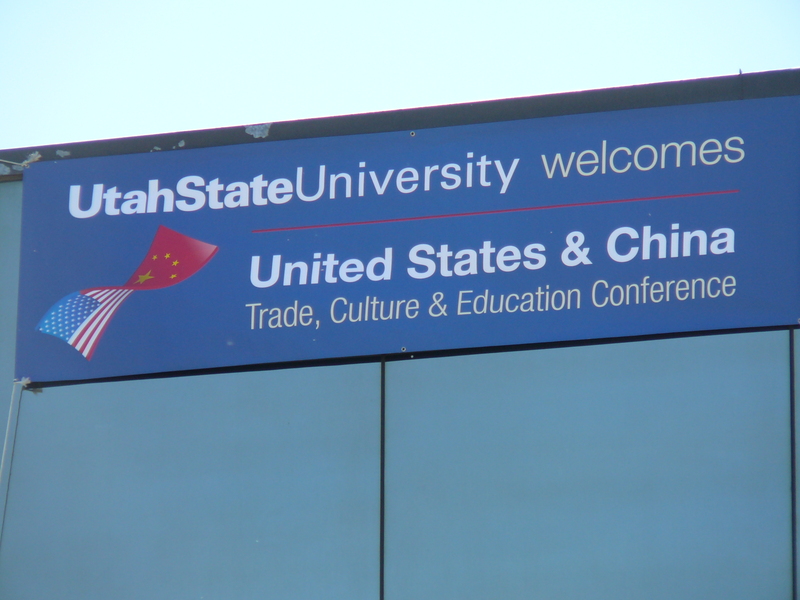 McLellan credited Senator Bob Bennett with developing a particular long-term partnership between USU and a Chinese university. Mark McLellan, Vice President for Research, USU, in the Eccles Conference Center, 7/15/11. 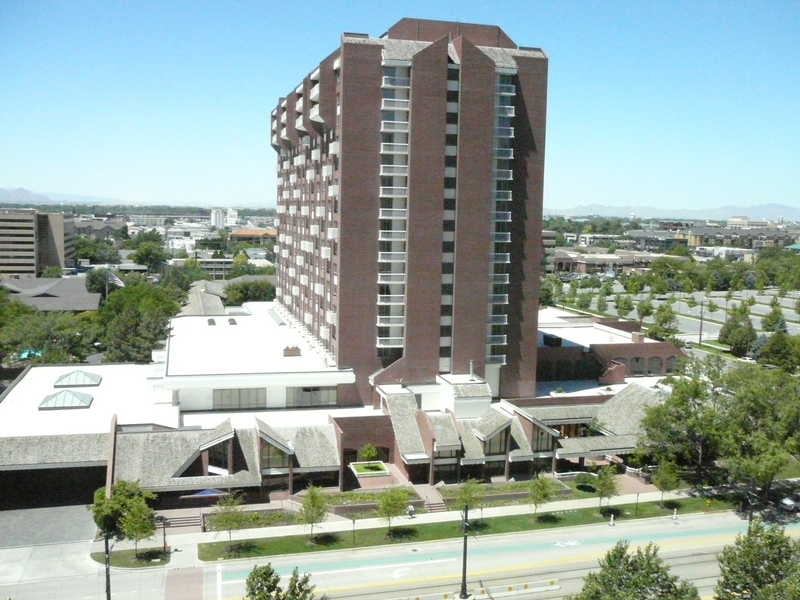 “Our partnerships in China have strengthened and enriched Utah State’s ability to not just talk its land grant mission but to walk it, to believe it, to make it really, really work. Ladies and gentlemen, through this historic conference, new frontiers and new relationships will be forged in renewable energy, green technologies, information technologies, bio- and life- sciences, advanced materials, high end manufacturing and mining technologies. We have great opportunities to build partnerships here. Each of these areas open (sic) up new opportunities and areas for growth and we are anxious to grow with you in these news partnerships and continue to build a long-term relationship. Again, I welcome you to our campus, and I hope you enjoy your days here in the middle of the Rocky Mountains. Good morning ladies and gentlemen. I’m thrilled to also welcome you to Utah State University and introduce our keynote speaker this morning. 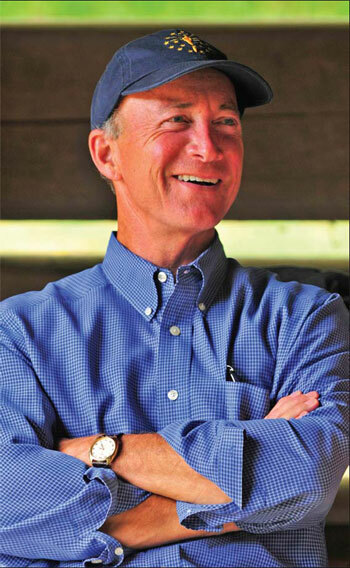 During this time of developing solutions to very complex policy problems Senator Bennett developed a great reputation on both sides of the aisle not only for his intelligent and innovative ideas, but for his impeccable integrity. And while Bob Bennett is no longer serving in the United States Senate he certainly is not retired. He continues to keep a very busy schedule, very influential in Washington, D.C., across the nation, and even globally, applying the same skills of pragmatic problem solving to complex world issues. So this morning, please join me in welcoming Senator Bob Bennett to speak to us. “Thank you very much, I appreciate the opportunity. I’ve spoken in this hall before but the crowd was usually a little more hostile because it was in the middle of a political campaign. I don’t imagine any of you is going to be as excited about seeing me defeated as many of the other people who sat in those seats were prior to my coming here. Former Utah Senator Bob Bennett, speaking at the U.S.-China 2011 Trade, Culture & Education Conference, in the Eccles Conference Center at USU 7/15/11. We’re on the campus of the University so I am going to be a little bit professorial. Professorial – I am going to be a school teacher this morning. If you go all the way back in human history you find that the original people were hunter/gatherers, who lived primarily on meat if they could run down the animal, and then whatever they could gather in the form of fruit and nuts. And in the words of one political philosopher life was nasty, brutish, and short. Then somebody made a discovery – if you stayed in one place and planted seeds and then tended the plants and harvested, you could get a lot more to eat than you could running around the country-side chasing the animals. That was called the Neolithic Revolution for those of you taking notes like a college class. And it was the “big bang” that changed society forever. Some historians say all of human history can be divided into that which took place before and that which took place after this revolution. People had more to eat and they could begin to engage in trade with their surplus food. They weren’t living hand-to-mouth now; they had extra crops, and commerce grew up. When commerce came along they had to invent some medium of exchange, and we had money. Originally it was in the form of precious metals because that’s hard to counterfeit and it doesn’t spoil if it gets left out in the rain. And human beings lived like for thousands of years, raising crops, trading their excess wealth, spending money back and forth, and growing and exploring until they covered the whole world. 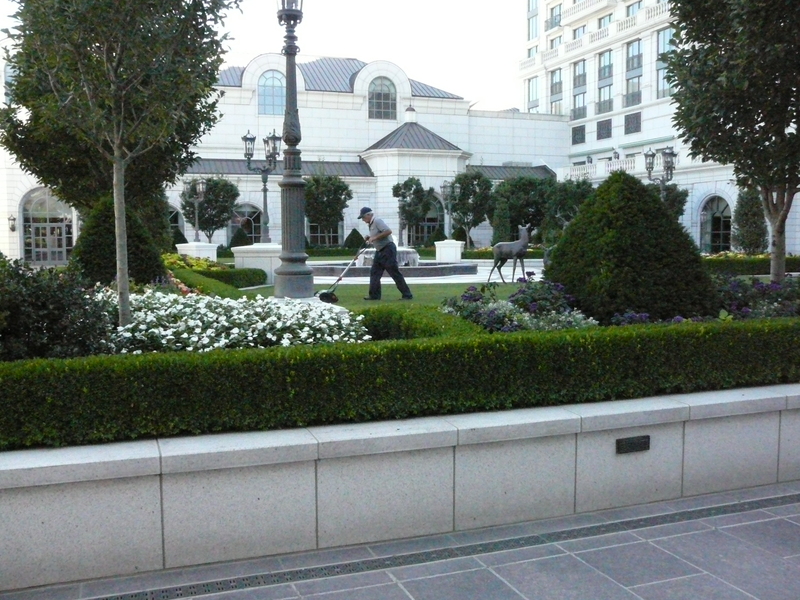 Best example of that is in building a carriage. In the agricultural age, if you wanted a carriage you hired an expert carriage maker who, with his team, would build you one and it would be one of a kind. And if you wanted two, you had to hire two carriage makers, or wait twice as long. After the introduction of interchangeable parts, Henry Ford could produce a carriage, it’s named shortened to ‘car’, every 3 and ½ minutes, by having a factory in which people would take those parts and assemble them in a predetermined way. And the cars they produced was (sic) cheaper and better and far more powerful than any of the carriages that had been built before. Now, what I’ve just described was called the Industrial Revolution, and it changed everything just as dramatically as the Neolithic Revolution did, and human history has never been the same again since the Industrial Revolution came along. We were all just getting used to that when once again somebody had an idea – and we have the third revolution hit us. It’s called the Information Revolution. The idea is just as simple as the idea of planting seeds and staying in one place or assembling things out of interchangeable parts. It was the idea that a switch in a transistor could be either on or off. They built machines with all those transistors in them and they were huge. They would occupy rooms bigger than this one – they were called “computers”. And in order to read all of the combinations of zeros and ones that were stored in those giant machines a new language was created, called “digital code”. Once again, it changed human history as dramatically as the two ideas that I’ve described before it. And it changed the concept of wealth and of the way we do commerce. In the agricultural age, a man’s wealth was determined by how much land he owned. We don’t know who it was in the United States in those days but a good candidate for the title was a fellow named George Washington. In the industrial age it didn’t matter how much land you owned, the richest man was the one who had the biggest factory and his name was Henry Ford. Now the richest man in America doesn’t own any land (of consequence), doesn’t have a factory, but he has proven the best master of digital code and his name is Bill Gates. Society is reeling under the changes that the information revolution has brought into our lives just as much as it did under the changes that were brought by the industrial revolution or the agricultural revolution. Commerce has changed dramatically as one of the main commodities being bought and sold around the world is knowledge. Money is no longer a pile of gold coins or a stack of checks, but electronic blips that move around the world with the speed of light. Now, at the risk of stepping into territory that’s a little unfamiliar to me, I look at China and realize that China was in the agricultural age just 50 years ago. The Industrial age was not the dominant factor there. Then came the information age, and China is now dealing with all three simultaneously. The speed with which you have moved into the information age, and the ease with which you navigate the information age, is breathtaking and an example to the rest of the world. Now, we in America have a great deal to contribute in all three areas. We can help make agriculture more productive; we can help make industrial processes more streamlined; and we’re, we hope we are leading the world in information, entrepreneurial-ship and innovation. What we must recognize is that with the end of the Cold War there are no boundaries in the world anymore, and we must be open to cooperation and commerce and opportunity with everybody else in the world in all three of these areas. I recognize that China is also reaching out to the rest of world to do what it can to deal with the challenges created by this new revolution, and one place I’d like to talk about very briefly with you is Africa. The record of accomplishment in Africa has not been good. And we’ve found that just giving them money doesn’t help solve their problems. As I go around Africa today I realize, particularly in Sub-Saharan Africa, the nation in the world that is there doing things that will be productive is China. Interestingly, in many parts of Africa they have missed the industrial age altogether. They have the agricultural age and they have cell phones but they have nothing in-between. If we are going to see the betterment of the human condition around the entire world, it’s going to take leadership from those countries that have moved forward in the progress of human society in the way I have described. I can think of no better partnership for leadership in this regard, than between the United State and China. China has become a major manufacturing source not only for the Chinese but for the rest of the world. I’m a strong believer in free trade, and I don’t feel threatened by that fact. Agriculture is obviously still important in China, but China’s activities in the information age indicate that China is a country like the United States, that can be innovative and powerful and productive in all three areas – agricultural, industrial, and information. 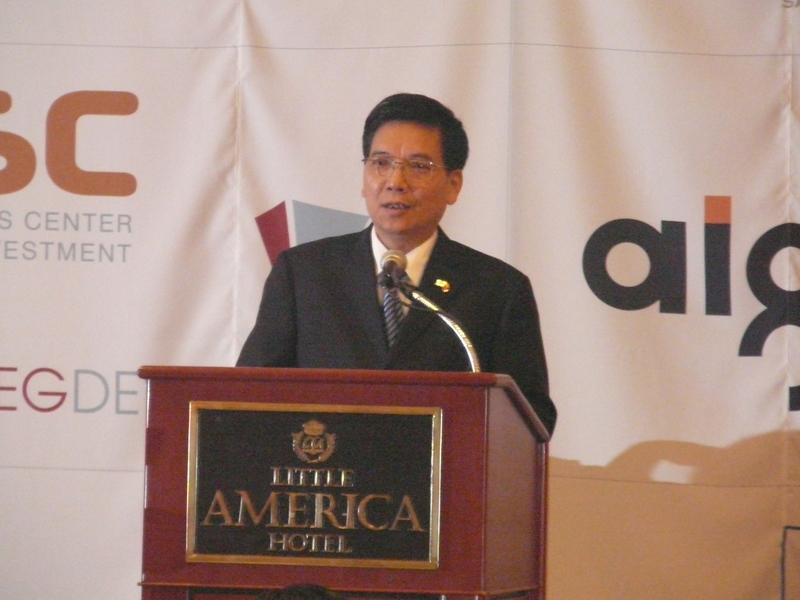 So what I am hoping for in the future is a partnership that is not just mutually beneficial between our two countries, but economic growth and the creation of wealth that can spread to the rest of the world with the joint leadership between Chinese and American entrepreneurs that move around the globe in ways that would not have been possible during the days of the Cold War. I started out by talking about the very beginning of human history and economic activity. I didn’t mention, but we need to recognize, that one human activity that goes back as far as anything else has been war. It’s been driven sometimes by religious differences, sometimes by ethnic differences, and many times by economic challenges and, uh, on the part of an aggressor the thought of economic opportunity, to take away from one group that which they have so that the invading group can get it for their own without effort. Now we have discovered that you can achieve economic prosperity without taking it away from your neighbor. You can do it by engaging in intelligent commerce and trade. And countries that trade with each other in an open and free manner do not go to war with each other. So as we move into the high productivity era of the information age where commerce becomes even more valuable, and more and more wealth is created all the time, it is not just an economic opportunity that’s available to us, it’s a humanitarian and peaceful opportunity that’s available to us as well. As we cooperate in high-tech trade and knowledge exchange, we make war even more and more obsolete – you don’t shoot your customers. The last comment I’ll make with respect to the information revolution has to do with the speed with which it is coming on us and changing everything. The industrial age took hundreds of years to unfold and we could adjust to the changes that it made in our lives fairly easily, but the information age is coming at us almost with the speed of light. When I went to the Senate I watched the lights that would blink, that would tell you whether or not the Senate was voting, a system that was put in place some years ago. Then they gave me a beeper to hang on my belt so that I didn’t need to watch the lights; and electronically they could tell me whether the Senate was voting. None of us had Blackberries. So, we get them, I get to the point where I begin to understand the Blackberry, and they take it away from me and give me another Blackberry which is the next generation and I can’t figure that one out. Then I leave the Senate and in my new incarnation they tell me I have to carry an I-Phone. I still don’t have all the APPS that are available to me and they’re selling me an I-Pad. Now I sit in front of my flat screen television and watch all the ads telling me that the I-Pad is completely obsolete and look at all the toys that are available. The young people that are just coming of age can handle all of this without turning a hair. My grandson says to me, “Hey, Grandpa, do you want me to set up a new website for you on your palm pilot?” Which doesn’t exist anymore, that another example of how fast the technology changes. The rising generation has no patience for that attitude, whether it’s in China or in the United States. They’re coming at us; a wave of young people prepared to embrace the information revolution, prosper in it, and spread it throughout all of the world. The U.S. and China should join hands and do everything we can to encourage these young people and conquer the future as dramatically as Henry Ford conquered the past. And I’ll do just fine because I have plenty of grandchildren who will tell me how it works. The full pdf of this transcript including more photos and a summary of USU President Stan Albrecht, is available here. 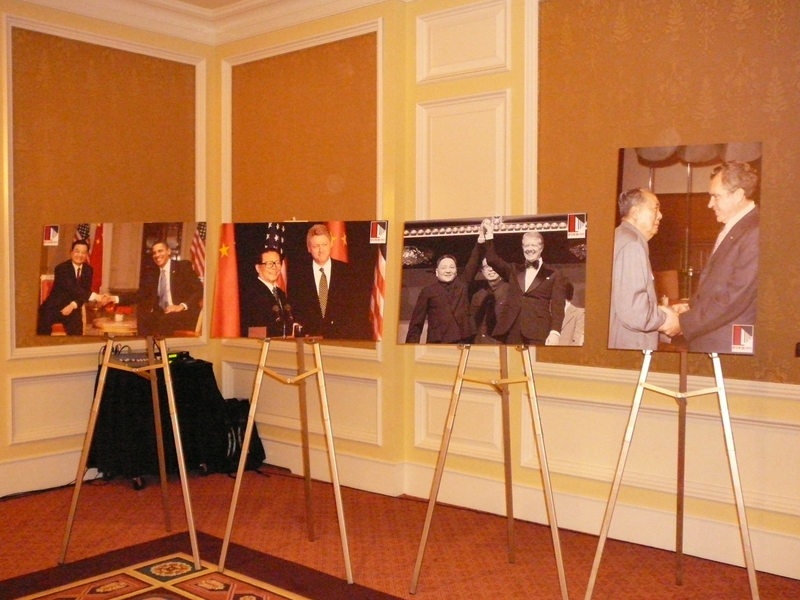 Below is a link to the C-SPAN coverage of the opening of the NGA U.S.-China Governors Forum held in Salt Lake City, Utah, at The Grand America Hotel, July 14-17, 2011. 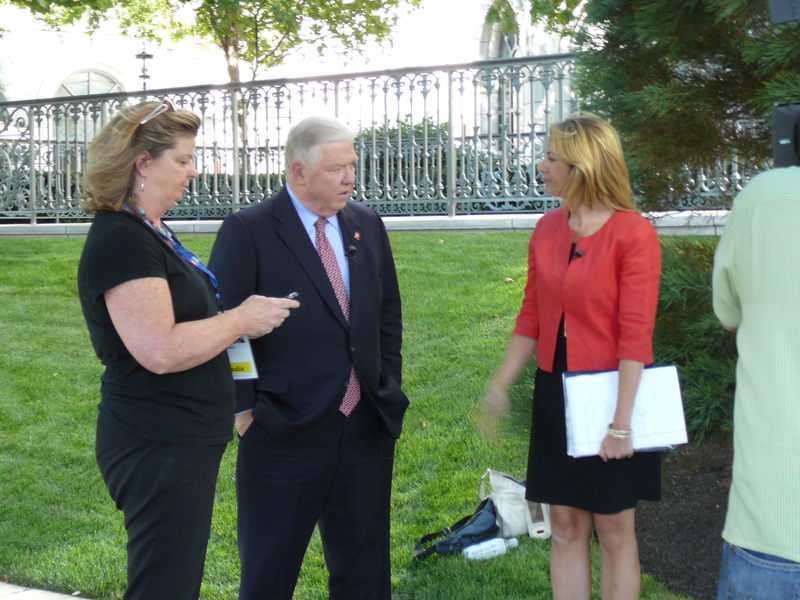 C-SPAN was one of the approved media outlets that was allowed in to cover this event. 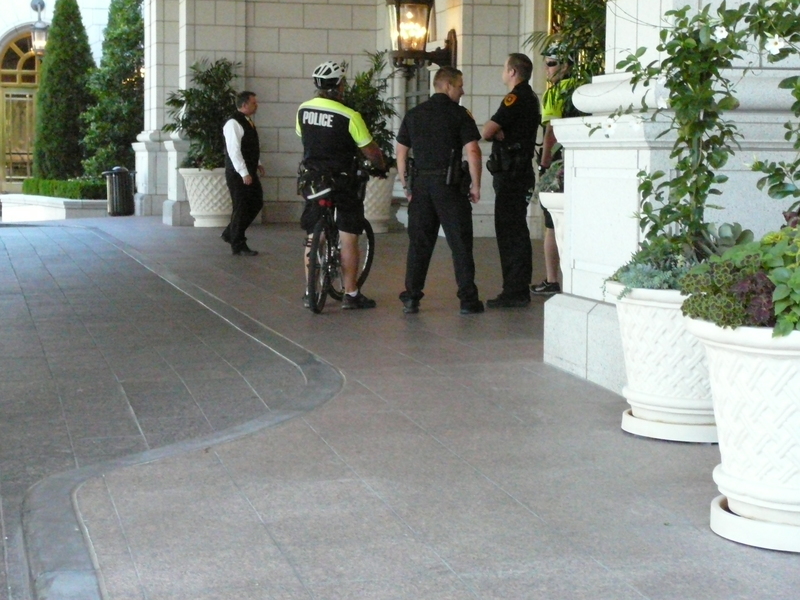 Some America media was barred from attending, while China Daily and other Chinese media were allowed instead. Washington Governor Christine Gregoire is the chairman of the NGA and introduces this U.S.-China Governors Forum. Interestingly enough, Reta Jo Lewis, representing the State Department, who presents greetings from the President to the forum, is the same person whose office had to be contacted to get a copy of the missing MOU Creating the U.S. China Governors Forum. She was the spokesperson for the MOU, yet did not have the MOU and really didn’t know who had a copy. Those Government jobs – aren’t they great? 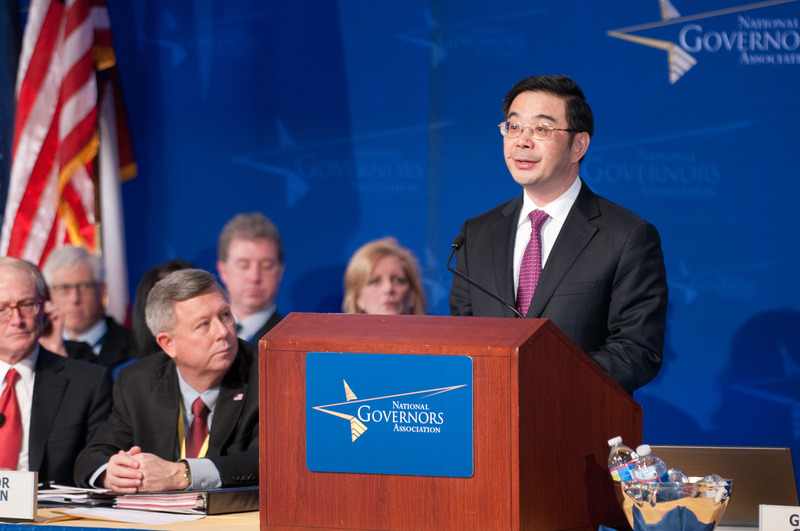 On January 19, 2011 the U.S. State Department announced the signing of a Memorandum of Understanding (MOU) creating a U.S.-China Governors Forum. 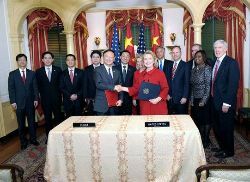 While fact sheets and summaries were available, including photos of the signing of the Memorandum of Understanding, and press conferences were held announcing this document by State Dept. officials, the actual MOU was noticeably missing. Numerous phone calls and requests for the missing document to State’s Special Representative Reta Jo Lewis’ office, the official announcing the MOU, were unsuccessful. 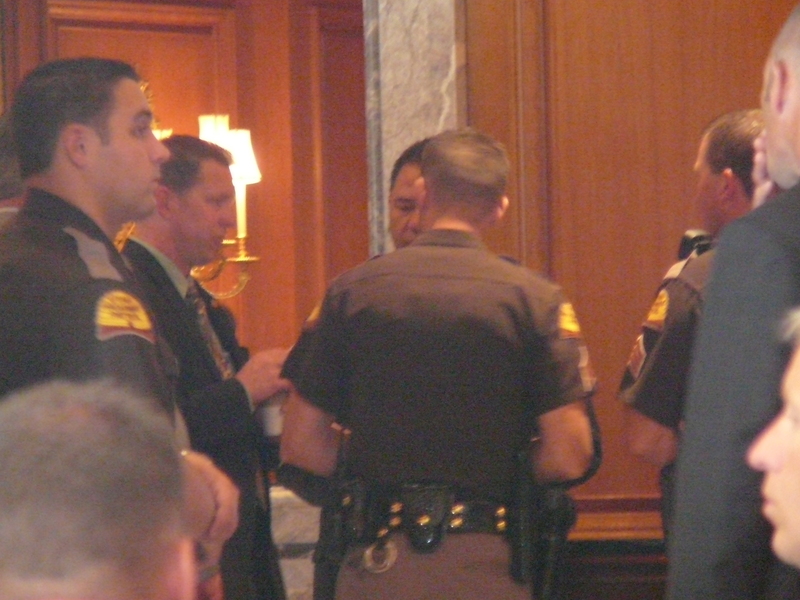 OK-SAFE then made a request through Congressman John Sullivan’s office on June 28, 2011; two days later, a legislative assistant in Sullivan’s D.C. office provided a link to a pdf version of the missing MOU. This link was provided to him by a contact in the State Department. 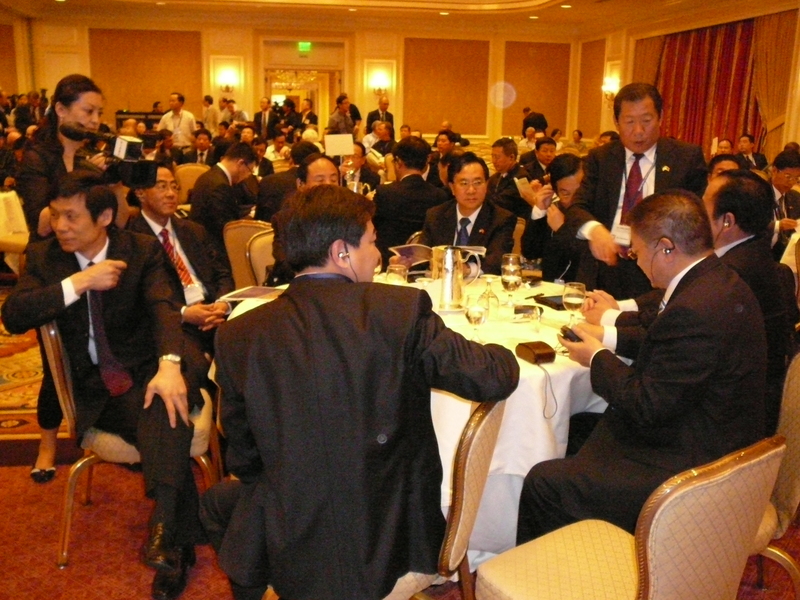 The National Governors Association sponsored U.S.-China Governors forum is scheduled for July 15-17, 2011 in Salt Lake City, Utah and will be held at the 5-star Grand America Hotel. 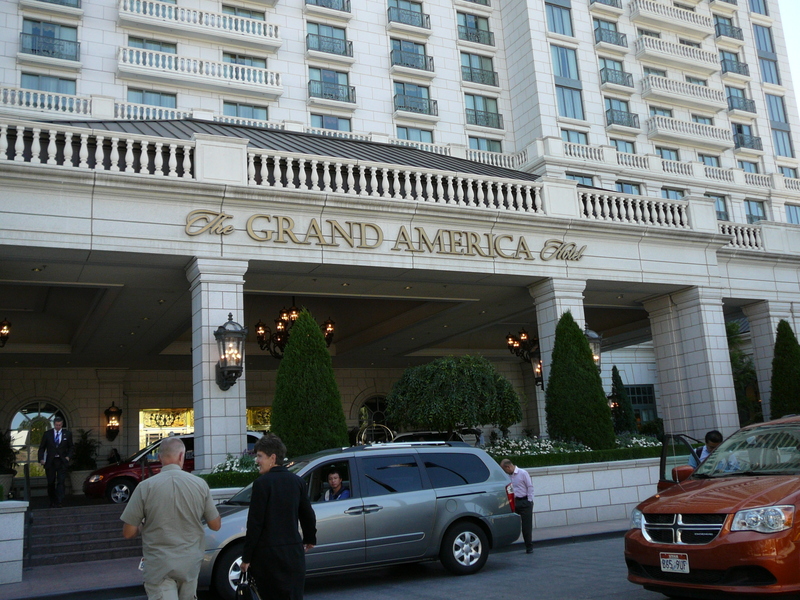 The NGA event coincides with the U.S.-China 2011 Conference on Trade,Education, and Culture, to be held at the Little America Hotel, directly across the street from the NGA event, July 14-17, 2011. Citizens in all states have been asked to contact their governor and ask whether they plan to attend either of these conferences and if so, just what their intentions are regarding foreign direct investment, or other types of partnerships with the Communist Chinese.